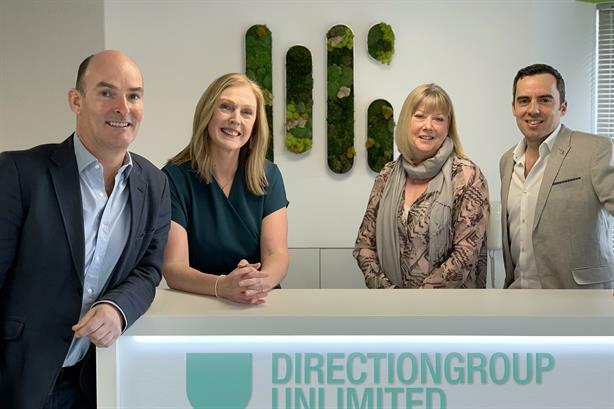 Unlimited Group, the marcomms company that owns PR agencies including Nelson Bostock Unlimited and Fever Unlimited, has acquired B2B marketing agency DirectionGroup for an undisclosed sum. Reading-based DirectionGroup, which employs 60 people, will be rebranded DirectionGroup Unlimited and sit within Unlimited Group’s B2B & Technology discipline, alongside Nelson Bostock Unlimited and content marketing specialist First Base Unlimited. The acquisition is Unlimited Group’s third this year, following First Base and data and analytics agency Model Citizens, since rebranded Realise Unlimited. The group, formerly known as Creston and backed by private equity firm DBAY Advisors, has acquired 100 per cent of DirectionGroup. Trish Harriss and Debbie Bough, joint MDs of DirectionGroup, will join the senior management team, reporting to Nick Clark, who is CEO of B2B & Technology, as well as MD of Nelson Bostock Unlimited. DirectionGroup’s clients include Microsoft, Fujitsu and Tata Communications. Clark told PRWeek that clients will be able to work across DirectionGroup, Nelson Bostock and First Base within the B2B & Technology discipline. "[DirectionGroup] has the creative resource – they’ve got the creative team, they are doing big brand work, OTL work, primarily in B2B but a bit in B2C as well. Then you’ve got the awareness piece: PR and social, a bit of content, through to performance marketing, digital marketing and also sales and channel comms. "What we’re trying to do is bring together on the client-side comms, marketing and sales - bridging across those three areas and having a clear proportion that enables them to pick specialists as and when they want, but also have a more integrated approach. It’s about that flexibility, but also that integrated sell." Clark said there would be an "editorial-led, earned-first approach". "We know as PRs how to create really compelling stories, and that is a skill that really does work across the full range [of services]." Regarding DirectionGroup, Clark said: "Culturally we’re very similar." He said some of the team are likely to move to Unlimited’s HQ in London’s Soho, with strategy, planning and probably creative to be centralised, and teams likely to work between the offices. No redundancies are planned. Clark said: "Our B2B offering is already in rude health, growing in revenue, talent and winning awards, so it’s exciting to welcome DirectionGroup to help expand our capabilities further in this high-growth area. This is our third acquisition this year of a deep specialist agency to complement our existing businesses, which enables us to enhance our client offering whilst supporting the growth of the entire group." Harriss said: "Our clients’ needs are evolving and being able to offer a range of specialist but connected services from brand building and reputation management through to lead generation and customer acquisition is really exciting for all involved." In January, Unlimited Group signed a strategic alliance with Germany’s Serviceplan Group – Europe’s largest independent network – and Japan’s Hakuhodo Group that will allow the three companies to offer a global proposition to clients.